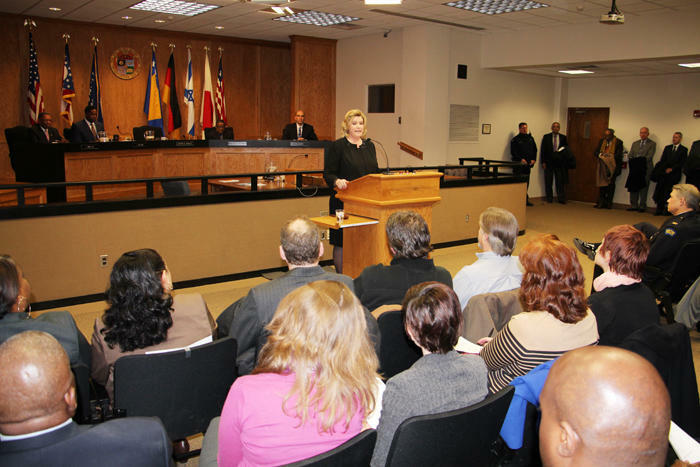 Dayton mayor Nan Whaley delivered her state of the city address Wednesday. She said Dayton can be a vibrant city, but getting there demands more than just talk. "Our vision of a thriving, vibrant city can’t just be about talk," Whaley said. "It must be about action and results." Whaley said the city is seeing results. She cited the May renewal of the city's income tax as a success in keeping Dayton on solid financial ground. Crime is also down three percent, according to numbers from Dayton Police.